Limited time only. Show your Berry Believer Pride. 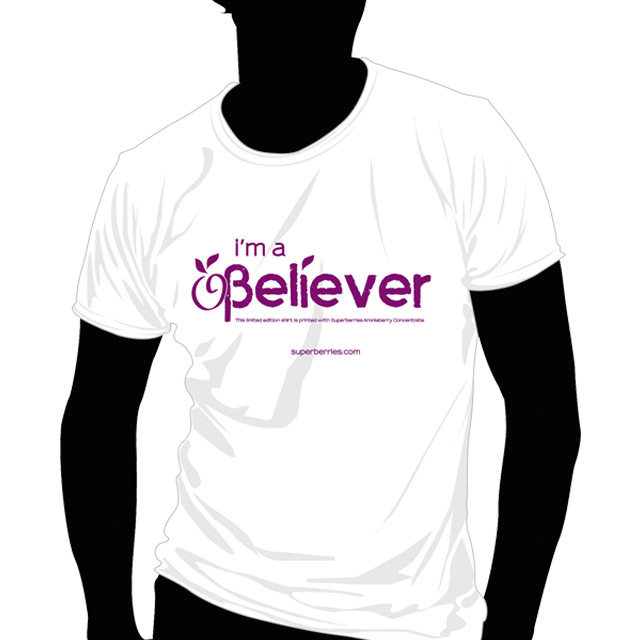 Buy a Superberries Aroniaberry Berry Believer T-Shirt. Our Aronia T-shirts are made from 100% cotton and use non-toxic ink mixed with Aroniaberry Concentrate for our signature purple color. Aroniaberries were used by native Americans for their health and wellness needs as well as used as clothing dye.